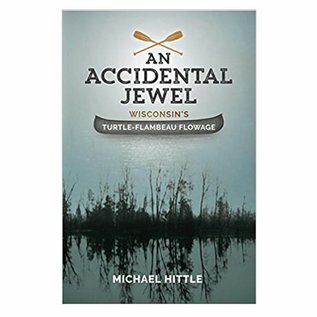 An Accidental Jewel Wisconsin's Turtle-Flambeau Flowage - Tight Lines Fly Fishing Co. In 1926, the Chippewa and Flambeau Improvement Company closed the gates on a newly finished dam at the confluence of the Turtle and Flambeau rivers in Iron County Wisconsin. That act created a storage reservoir of over 13,000-acres, known today as the Turtle-Flambeau Flowage, whose waters were to be released for the purpose of generating hydropower for downstream industries. What served the state's industries, however, angered conservationists, for the headwaters of an iconic northwoods river, the Flambeau, had been replaced by a body of water dotted with standing dead trees and awash in driftwood and slash. But Clio, the muse of history, had a trick up her sleeve. The reservoir quickly became home to an abundant fish population; resorts sprang up to meet the needs of anglers and their families; and the flowage gained a reputation for its unique blend of excellent fishing with a wilderness setting. Statewide recognition followed in 1990, when Governor Tommy G. Thompson hailed the flowage as "One of Wisconsin's Crown Jewels" and announced that the state would be purchasing the bulk of the flowage's shoreline from the Chippewa and Flambeau Improvement Company. A few years later the Turtle-Flambeau Scenic Waters Area became a reality. This book tells the story of the creation of the flowage, traces the evolution of its waters, recounts the emerging human presence in the area, and examines the interplay of the various parties that have an interest in the flowage and its future. It also takes a close look at flowage fishing, life at flowage resorts, and some of the colorful people whose lives have become part of the history and legend of the Turtle-Flambeau Flowage.